The project’s main outcome has been the development of a new profile, Expert in Comfort and Healthy Footwear Manufacturing, and corresponding training programme to respond to consumers’ demand for more comfortable fashion shoes. The three-year project Fit to Comfort, funded by the European Commission’s Erasmus + programme, has been successfully completed and its outcomes were presented at Lineapelle Innovation Square in Milan by Carmen Arias, General Secretary of CEC - European Confederation of the Footwear Industry and Rita Souto, Training Director at CTCP - Portuguese Footwear Technological Centre, on Thursday 27th November. 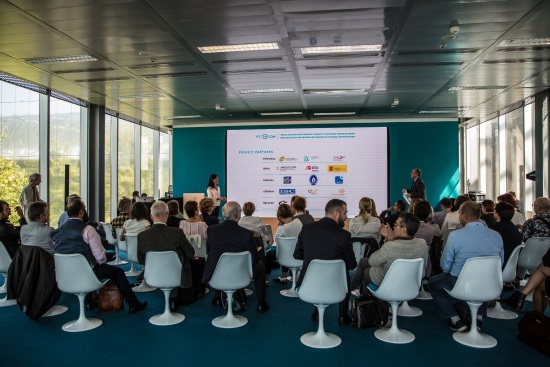 The project aimed to support European SMEs to introduce more comfort and healthy features in their fashionable products with a view to enhancing their competitiveness and added value. Our economy and society are swiftly changing mainly due to new technologies such as digitalisation. Consumers have become more demanding and have a longer life expectancy: being generally more knowledgeable and conscious about the planet, they are also more selective, want personalised goods and services, and put great emphasis on leading a healthy life. Therefore, they increasingly look for sustainable and healthy features in products to achieve a longer and healthier life. 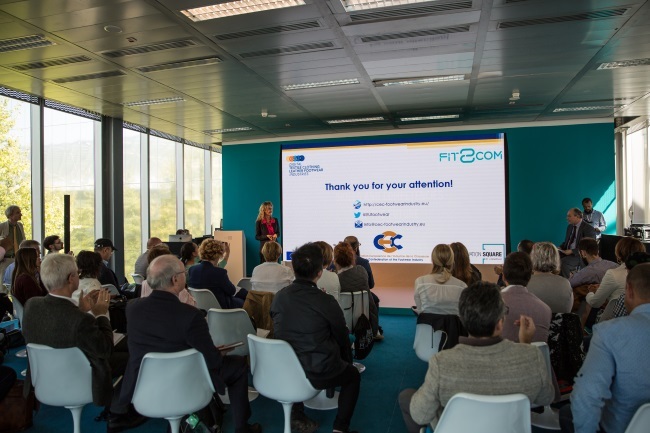 The importance to healthy and comfort features in shoes was also underlined by a survey launched at the early stages of Fit2Com project to evaluate consumers’ needs. Results showed that consumers in Europe predominantly looked for comfort in shoes: 96% of 681 respondents selected comfort as one of the four aspects they value most in shoes, ahead of quality (81%), price (69%) and design (68%). Furthermore, the fact that 48% of the participants in the survey stated that the main reason why they do not find shoes was the lack of comfort clearly shows the need for a greater incorporation of comfort features in footwear production. A second survey, launched by the project’s partners to assess companies’ approach to comfort features in their business strategy and their willingness to incorporate health and comfort features in their products, further confirmed the importance of comfort in shoes. They agreed comfort being the feature most valued by customers, as well as fitting being the feature their products could most benefit from. The survey also revealed that 70% of the companies viewed a shortage of workers with expertise in comfort footwear as the biggest challenge they will face by 2020. On the basis of the surveys’ outcome, the project partners have developed a new profile, “Expert in Comfort and Healthy Footwear Manufacturing”, and corresponding training programme. The contents, available online in English, German, Spanish, Portuguese and Romanian, comprehends 600 hours of training throughout 10 units. After completing the course, the new expert in Comfort and Healthy Footwear Manufacturing will have developed the necessary skills and competences to introduce Comfort and Healthy features in fashion footwear and will be able to improve the differentiation of products and the competitiveness of European footwear companies. The course is also of high value for companies’ employees, who can follow the programme or parts of it, and thus improve their skills in comfort and healthy manufacturing. Now that the training course has been successfully developed, the next and final step would be to have the new qualification recognised by each of the competent national authorities of Germany, Portugal, Romania and Spain, and integrate it in the corresponding VET systems, contributing in this way to enhance the footwear sector qualifications’ framework. More information available at www.fit2comfort.eu.